Check out the Monday Night Talk radio program with host Kevin Tocci and State Rep Jim Cantwell, as they speak with Maureen Boyle, author of the new book "Shallow Graves: The Hunt for the New Bedford Highway Serial Killer." 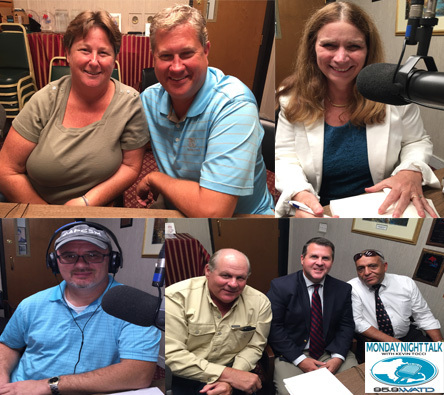 Here's the newest Monday Night Talk radio program with host Kevin Tocci and State Rep Jim Cantwell featuring a discussion on the upcoming Dancing with the Dignataries fundraiser with State Rep Matt Muratore, former Commissioner of the MA Dept of Public Health Cheryl Bartlett and Jen Babcock, Chair of the Plymouth County Suicide Prevention Commission; Chuck Givonetti, Animal Protection Center of Southeastern Massachusetts; Brockton City Councilors Robert Sullivan (At Large), Moises Rodrigues (At Large) & John Drusin and Maureen Boyle, author of the new book, "Shallow Graves: The Hunt for the New Bedford Highway Serial Killer." 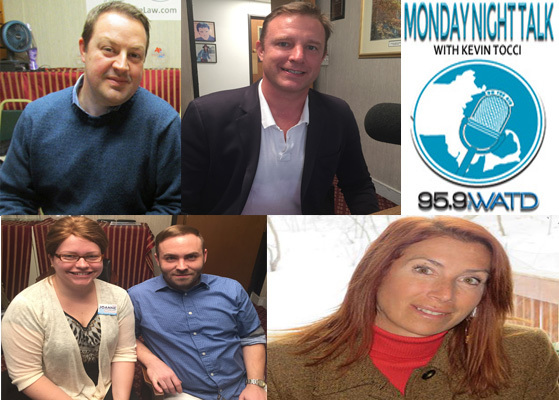 Check out the latest Monday Night Talk radio program with host Kevin Tocci, who speaks with Dave Wedge, co-author of a new book, The Ice Bucket Challenge; Massachusetts Attorney General candidate Dan Shores; Brockton candidates Mike Carroll (mayor) and Joanne Zygmunt (Ward 6 councilor) and Psychologist Dr Kate Robert!! !